This was the local and national context when the first Rag was published. 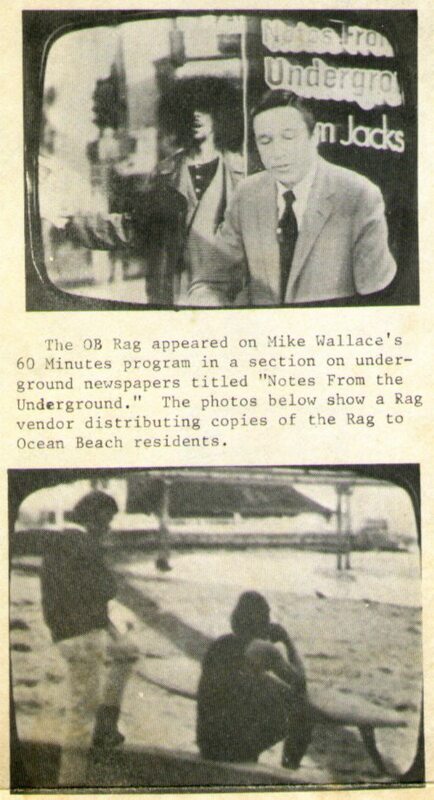 The initial circle of the paper consisted of Frank Gormlie, a local who had grown up in Point Loma, who had surfed in OB in his youth, and a recent graduate of UCSD – the Rag had been Gormlie’s brainchild as he saw it as a handy way to do community organizing in OB; the circle also included Bo Blakey, fresh from the campus battles at UC Berkeley and another graduate with Gormlie of Pt. Loma High; the two had agreed along with their significant others to set up a small house collective at the Etiwanda address earlier that Summer; and it included John Lyons, San Diego native, and veteran of the UCSD radical scene, who lived in his mobile step-van parked in the driveway at Etiwanda; as the resident artist, Lyons used Gormlie’s ideas for a masthead logo, and drew the first “OB Rag” design – a version of which is still in use to this day. Despite the differences among this first core staff – supporting different wings of SDS, for example, the initial group became lasting friends, enduring those initial months of raw, underground publishing efforts. Any differences were glossed over by the camaraderie, their similar backgrounds and current “revy” stance, plus their clear propensity for political action over rhetoric. issues at the foot of Newport Avenue in Ocean Beach. This initial publishing core of the Rag – and every core that followed – were of the volunteer activist mold. They never received any salary or monetary compensation for their journalistic work, other than a few dollars made while peddling the paper. 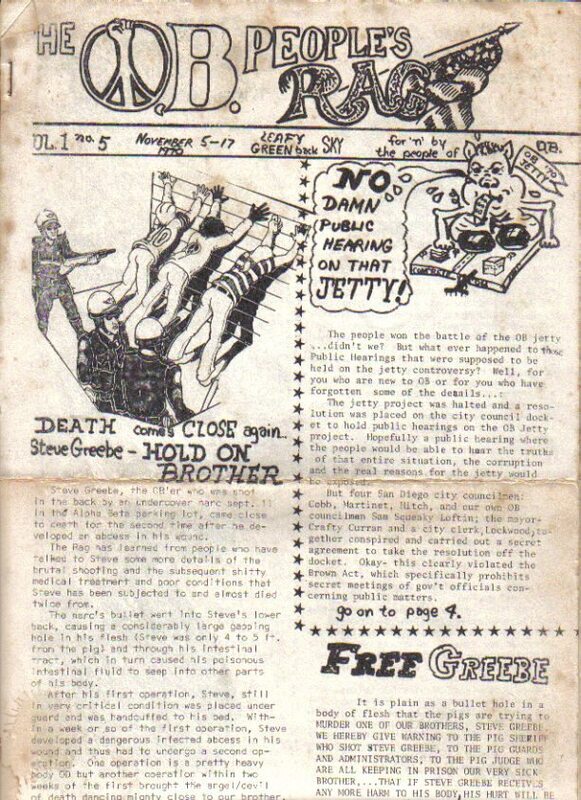 This was the standard for that era of underground newspapers. 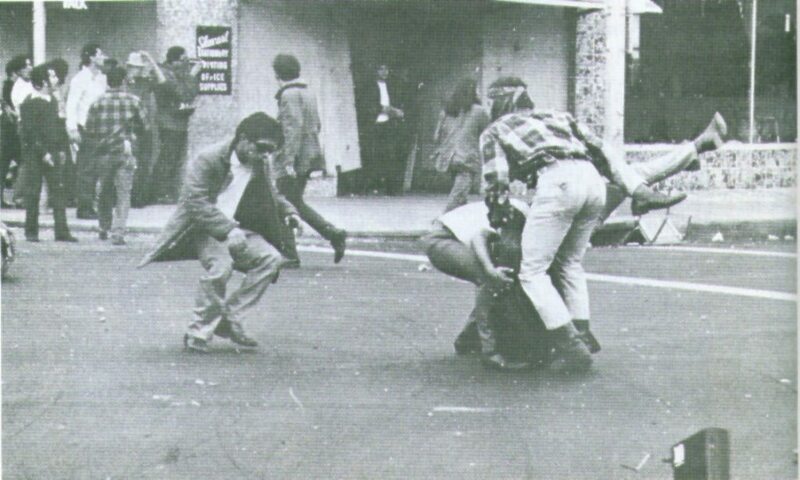 I liked your articule of the 1971 Chicano moratorium. I took 8mm videos of the event also of the two prior events in 1970. 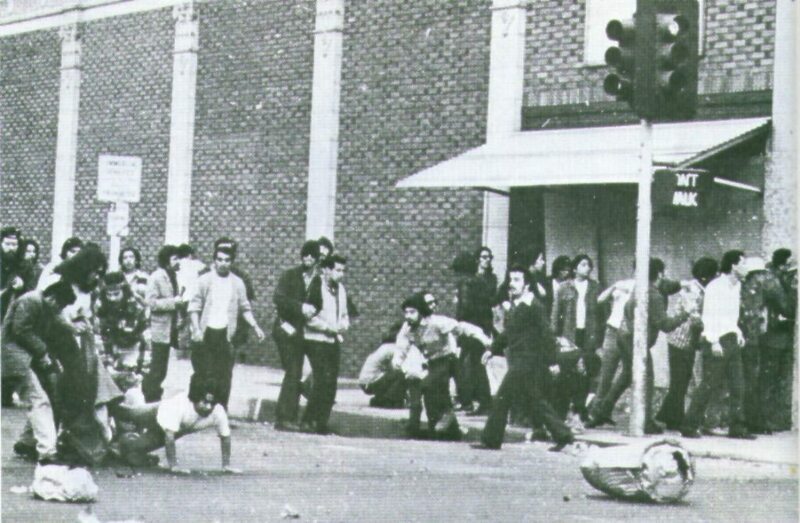 Check out my video on youtube “East Los Angeles Riots”. Some of the videos are a little shaky because it is hard to film and run from the police chasing me at the same time. This is the first time the public has ever viewed these videos. How did you get the photos of the the people getting shot there?